Coffee aficionados are falling in love with pour over coffee – a Japanese method of coffee making that is creating waves all over the world. Perhaps the most important thing to know about pour over coffee is that it is not your usual kind of coffee. You require medium fine grind beans, a certain kind of equipment and most importantly, lots of patience as you watch small amount of water work their way through coffee grounds and make a perfect cup of pour over coffee. 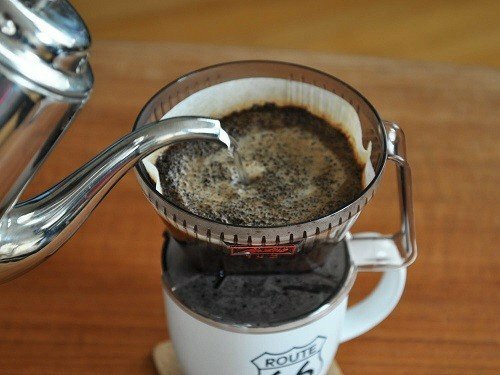 What is Pour Over Coffee Method Anyway? The ability to control every aspect of the brewing process is a ‘dream’ come true for all coffee lovers. 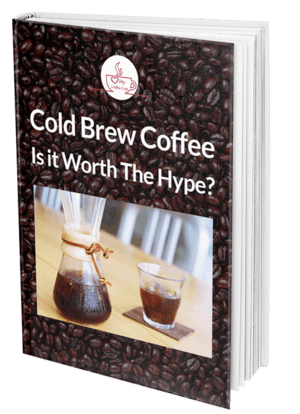 This new trend has encouraged several new brewing methods including the very popular pour over coffee brewing. 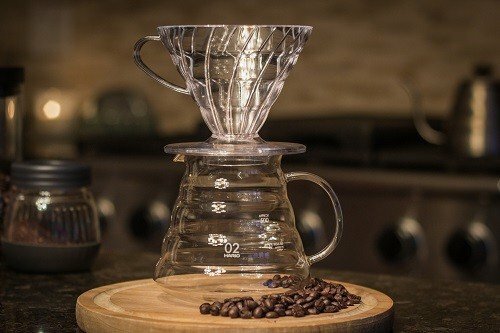 Before you decide to find the best pour over coffee devices, here are some essential brewing tips you need to know. 1. Remember that the quality of your pour over coffee will depend on the roast level of coffee beans, processing method, pour rate and of course, the batch size you choose. 3. For a tasty cup of coffee, you need to begin with 60 grams of coffee for every liter of water. As you can guess, changing this ratio can affect the quality of your beverage so pay close attention. 4. Pour over coffee yields the best results when thoroughly filtered water heated to 195-205 degrees Fahrenheit is used for coffee preparation. 5. A slow pouring kettle is essential to using these brewers well. 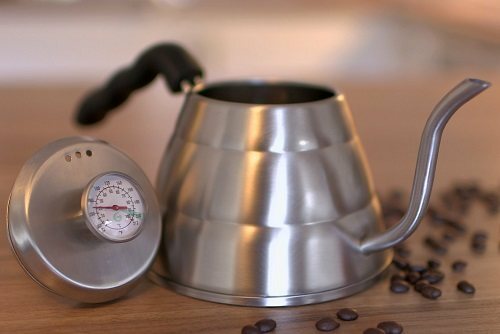 A gram scale and thermometer will also help you brew great coffee consistently. 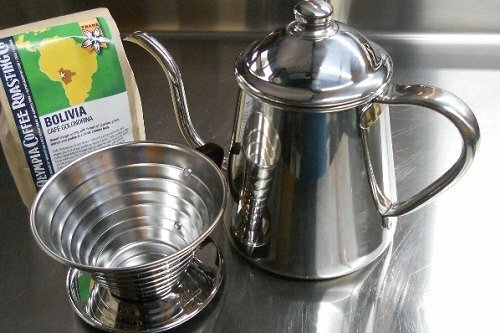 If you are interested in making pour over coffee, you are encouraged to get the basic equipment and start doing it. But is it as simple as pouring hot water over ground coffee? Well, pour over coffee is a completely manual process which gives you more control over each phase of coffee making. 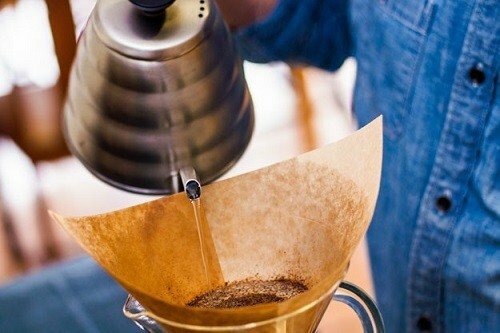 The preferred technique of pour over coffee making starts with thoroughly rinsing the filter and placing it carefully inside the cone (supplied with most pour over coffee equipment). You then need to add ground coffee and level the bed. Don’t forget to make a small ‘hollow’ pit in the center. Now pour enough filtered water (target the divot) so that all of the ground coffee is wet. Let the soaked ground coffee bed rest for about 30 seconds. Next continue to pour filtered water until you reach the desired volume. Ideally you should pour water starting in the center and move in and out in concentric circles. The water should be kept at least ¼” away from the walls of the dripper. Also, you should try to maintain a constant volume of water throughout the brewing process. Before you actually start with the coffee making process, you need to understand the basics of what goes into brewing a perfect cup of pour over coffee. The fact is that coffee lovers don’t agree on what a good cup of coffee is. Some people prefer to use dark roast beans and others prefer light. Some coffee fans prefer a more subtle flavor and you are likely to come across people who prefer a richer and more robust flavor. If you know the different steps of the brewing process and what happens to your coffee grounds at each stage, you’ll know exactly how you need to experiment. As stated earlier, one of the biggest advantages of pour over coffee making is simply that you have complete control over how your coffee is brewed and you can get your perfect cup every time. There are three basic stages to pour over brewing method and those stages are wetting, dissolution and diffusion. This is the first stage i.e. when your coffee grounds get wet. As soon as you pour hot water over the even ground coffee bed, all the trapped carbon dioxide between the cell spaces will be released. You should be able to easily identify the release of carbon dioxide thanks to all the bubbling and expansion that occurs at this stage. 1. You should give your coffee grounds sufficient time to ‘bloom’ after getting wet. This simply means you should wait before you pour remaining hot water so that maximum amount of carbon dioxide escapes at this stage. 2. It is better if you pour hot water evenly so as to wet the entire bed instead of just pouring all of the water directly into the hollow pit at the center. 3. Even though it sounds difficult, you should try to pour an even, consistent stream of water. Simply put, avoid splashing water and pour a thin stream evenly at the right pace. Don’t dump all of the water in one go as this might affect the draining process. 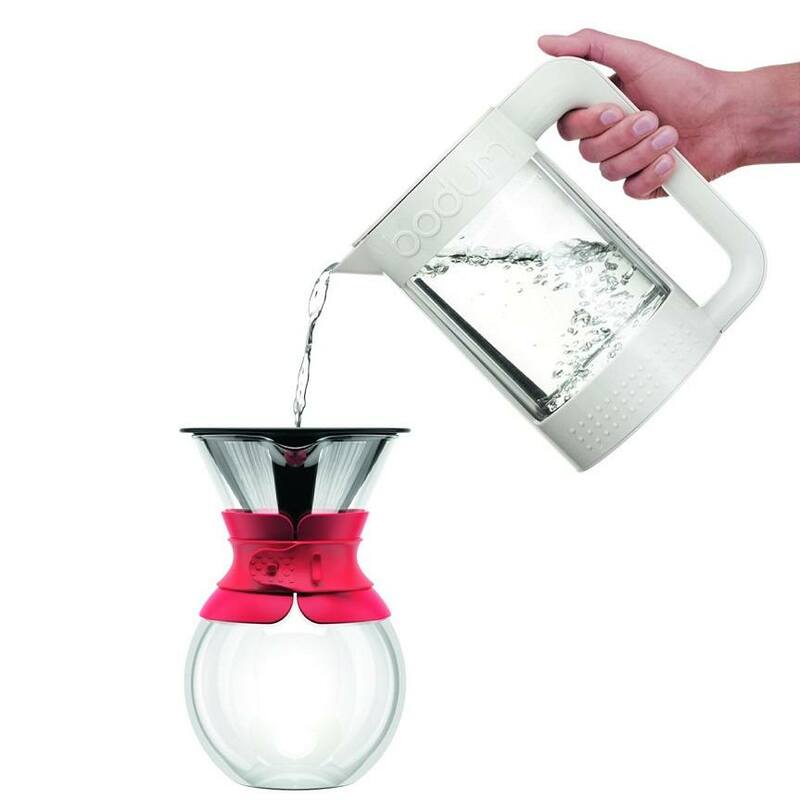 Remember that special pour over coffee kettles can help you control the flow of water. These kettles are designed with a special spout which can help you execute the wetting stage perfectly. As the name suggests, this second stage is all about dissolving the wonderful flavors and aroma of the coffee grounds into the hot water you’ve poured. 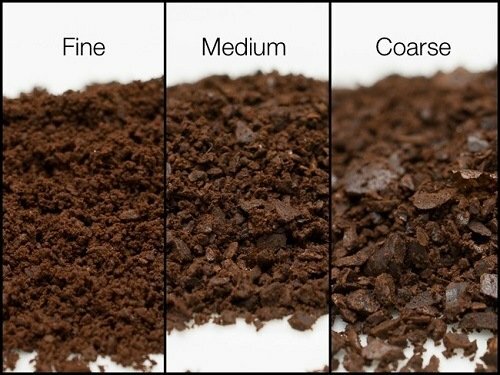 Once the coffee grounds become wet, they begin to slowly release the rich and flavorful aromatic compounds into hot water, but with sweet and floral flavors, some bitter and less pleasant compounds also try to make way into your coffee cup. You need to execute dissolution well to maintain the perfect balance that allows all the good flavors to release into the cup and keep out the unwanted ‘bitter’ compounds. 1. If coffee grounds do not dissolve into the hot water properly, you will end up with an awful coffee that is watery. 2. 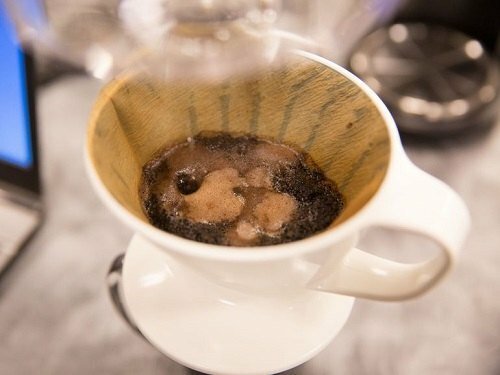 If you leave coffee grounds in hot water for a long time, you will end up dissolving bitter aromatic compounds into your cup. As stated earlier, you should ideally leave the coffee grounds soaking in hot water for about 3 to 4 minutes – this is after the initial 30 seconds waiting period. 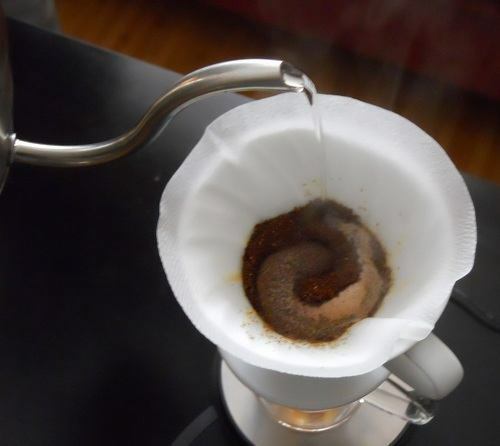 Again, the wetting phase is just so important to get that perfect cup of pour over coffee. If you wet the coffee grounds properly, you let the excess carbon dioxide bubbles escape which will then allow the hot water to soak the grounds and trigger the release of aromatic flavors and components. The diffusion stage basically is the process of hot water entering the coffee grounds and flooding out the aromatic compounds and concentrated aromatic oils. This third and final stage is what is responsible to give coffee its distinct and classic flavor. The effectiveness of the dissolution stage depends on a few factors. 1. You should use finely ground coffee as it is easier to dissolve than more coarsely ground coffee. 2. The temperature of your water is a deciding factor at this stage. Hotter water can easily rupture the membrane of finely ground coffee and pull out the aromatic compounds fairly quickly. 3. The longer you allow hot water to remain in contact with coffee ground bed, the more time water molecules have to break through the membrane and release the aromatic components. If you ask coffee experts about how to brew pour over coffee with perfection, they would tell you that the three stages mentioned earlier are strongly interconnected. And to get one stage right, the previous stage must have been done with perfection. Another important thing to remember at this stage is that the term ‘right’ is very relative and it depends on the outcome you are trying to achieve. Many people assume that making pour over coffee is a complicated method, however the opposite is true. As far as brewing equipment go, pour over coffee uses the most minimalist and simplified equipment. No part of the pour over coffee making process is automated unless you use an electric grinder. The complicated steps come from the fact that you can control each step of the brewing process. This simply means you can decide the temperature of water to be used, how fine or coarse the coffee grounds should be and most importantly, how much coffee you should use. These questions are aspects of brewing that you would normally not consider when using an automated tool, let’s say a drip machine. Pour over coffee is complicated in the sense that you have to make conscious decisions about each crucial stage of the process. For many coffee lovers, making pour over coffee is the most relaxing and rewarding task. After all, nothing feels better than enjoying a cup of coffee that tastes so good because you nurtured it carefully at every stage of the process. While ‘pre-ground’ coffee is easily available, but you would want to grind coffee grounds fresh right before the brewing process for that added flavor. Aromatic components as you can guess evaporate quickly when exposed to air. And this is one reason pre-ground coffee is likely to lose its flavors even before it gets to your cup. When you are starting out, it’s okay to go with a cheap blade grinder. 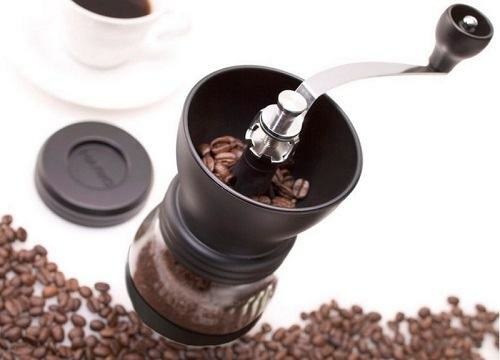 You can switch to a burr grinder when you master the technique without question. The bottom line is that regardless of the kind of blade you choose, a coffee grinder is basic equipment. Those of you who prefer pre-ground coffee can stick with a drip machine. Filters are essential if you want to make pour over coffee. After all you don’t want the bitter sludge to diffuse into your coffee and ruin your morning. If you talk about filters, you have two basic options – disposable filters and reusable filters. Disposable filters are made of paper and are effective at keeping the sludge out of the coffee. However some people believe that paper is not the best choice since it absorbs some of the characteristic flavor and aroma of freshly brewed coffee. Reusable filters generally are made of metal and do not absorb any kind of aroma or taste. However, metal filters cost more than paper filters and sometimes, they might let a little bit of sludge go through and enter your cup. This small device helps in channeling filtered coffee into your mug or cup. You don’t need to invest in a dripper if your pour over set provides one. Some carafes are designed in such a way that you can rest the coffee filter directly inside it. 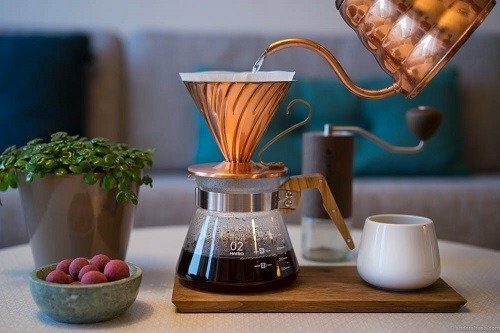 You will need to use a dripper if you are brewing a single cup of coffee or you are brewing with a pour over coffee stand. This cone shaped device can rest on top of your cup. Drippers can also be mounted easily on a stand. If you want to buy a dripper, make sure you get one before buying any filter. Remember the filter you choose should easily fit into the dripper. You won’t need a carafe if you want to brew a single cup of coffee. However, if you want to brew more than one cup of pour over coffee at a time, you need something (a pot!) that your freshly brewed coffee drips into. The main job of this stand is to hold the dripper in place directly above the carafe or cup that your freshly brewed coffee is brewing into. It’s always good to invest in an adjustable stand so that you can raise or lower the dripper depending on your need. Why do you need a pour over coffee kettle when you can get the job done by heating water in a pot on the stove? Well, you can make a good cup of coffee by controlling water temperature and of course, with the help of a slow, controlled pour and having a pour over coffee kettle helps you achieve this. These kettles come with a uniquely designed spout that helps you achieve the perfect pour. In addition, if you manage to get an electric pour over coffee kettle, you no longer have to worry about heating water to the right temperature as it will take care of it. 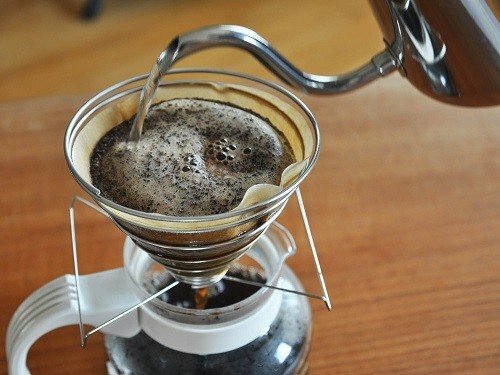 If you don’t want to invest in a pour over coffee kettle, you can master the pouring technique on your own by using a pitcher (a thermometer can help you get the right temperature of water you need.) 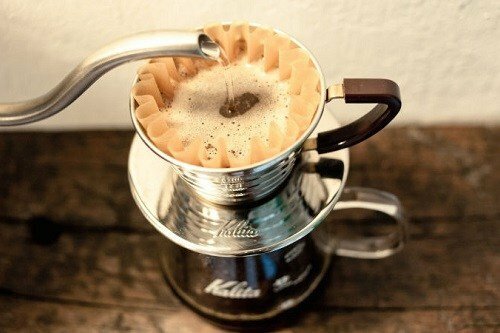 Pour over coffee kettles are recommended for beginners because you can get a great cup of coffee even when your technique and accuracy are not 100%. If you want to add precision to your technique and make your pour over coffee method shine, you need to get hands on these measuring tools. A scale, as you can guess can help you measure out the exact amount of coffee needed. On the other hand, a thermometer will help you heat water to the required temperature. The good thing about having these measuring tools is that once you land on a recipe and technique that produces a great cup of coffee, you can recreate that perfect cup again and again. That’s right. Having a scale and thermometer can help you get consistent results over the period of time. Before we discover the best pour over coffee recipes, let’s go through the basic method of making a pot of pour over coffee. Heat filtered water to 175 – 200 degrees Fahrenheit. When done right, hot water can produce a full-bodied brew as you need a shorter brew time to dissolve and diffuse the coffee grounds. Cooler temperatures produce a lighter and floral brew. They also dissolve and diffuse coffee grounds slowly so you need a longer brew time. Remember that if you don’t allow coffee grounds to dissolve and diffuse properly, you are most likely to end up with a watery coffee. ​You should use a medium fine grind for pour over coffee. This means you need to grind your coffee so that it matches the texture of sand. Ideally you should start with a ratio of 30 grams of coffee ground for every 0.5 liter of water (16.9 ounce). You can adjust the ratio to suit your preferences in terms of strength of coffee brew. Place medium fine grind coffee into a pre-wetted filter. Shake the filter gently to even out the bed. You can pack the bed dense using a stamper but this will slow down the movement of water and extend the brewing time. Pour enough hot water over the ground and let them soak. After the 30 second ‘bloom.’ continue pouring water slowly and try to keep the flow as consistent as possible. For best results, you should start pouring water in the middle and move outwards in concentric circles. Once you pour the hot water, allow the coffee to drip for about 60 seconds or so. You can then remove dripper/filter and serve your delicious pour over coffee. A good pour over coffee maker is more than simple system. It shouldn’t leak or adulterate your brew. Additionally it must have the right capacity for your needs and hold the coffee grounds in place. Melitta Pour Over Coffee Brewer - This system isn’t fancy but includes everything you need to make a nice cup of pour over coffee. You will find a BPA free cone, scoop, filters and a 30 oz. carafe in the package. 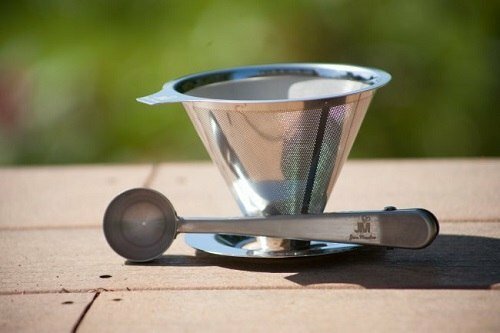 Hario V60 - V60 uses a ringed cone for a more even extraction. The good news is that you can find extremely thin filters that go along with V60 and prevent the paper from interfering with the taste of your coffee. Bee House Ceramic Coffee Dripper - This dripper fits over the top of your favorite coffee mug and all you have to do is add hot water to medium grounds with efficiency. As your pouring technique improves, you can get a fairly decent cup of coffee with great ease. 2. Weigh 32g coffee and grind right before you are ready to pour so that the coffee grounds are as fresh as possible. Ideally you should start pouring hot water over the medium fine grounds within 60 seconds after they are taken out of the grinder. As stated earlier, 30 grams coffee for every 500 ml of filtered water is a standard, but it is not an unbreakable law. You can experiment with different ratios to find out the exact amount which gives you the flavor profile you love. A passionate coffee lover will experiment with coffee to water ratio and brew coffee multiple times to find out what works the best. You can also experiment with water temperature, pour technique as well as contact time. 3. Add coffee grounds to wet filter paper and shake the paper to even out the bed. 4. Add 50g of water in spiral motion and let the ground soak for about 30 seconds. 5. Once 30 seconds have passed, add 100 g water followed by 150g water after additional 1 minute, 100g water after additional two minutes have passed and last, 100g water after the additional 3 minutes. 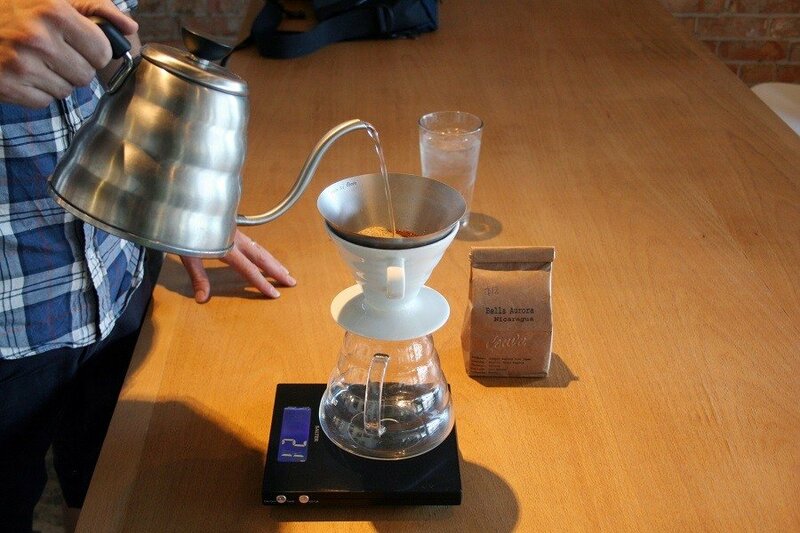 Pour over coffee method is an excellent way to control the coffee making process and enjoy a cup of quality beverage. And here’s hoping that the tips and ideas mentioned herein would help you make the right cup of coffee and join this exciting revolution.